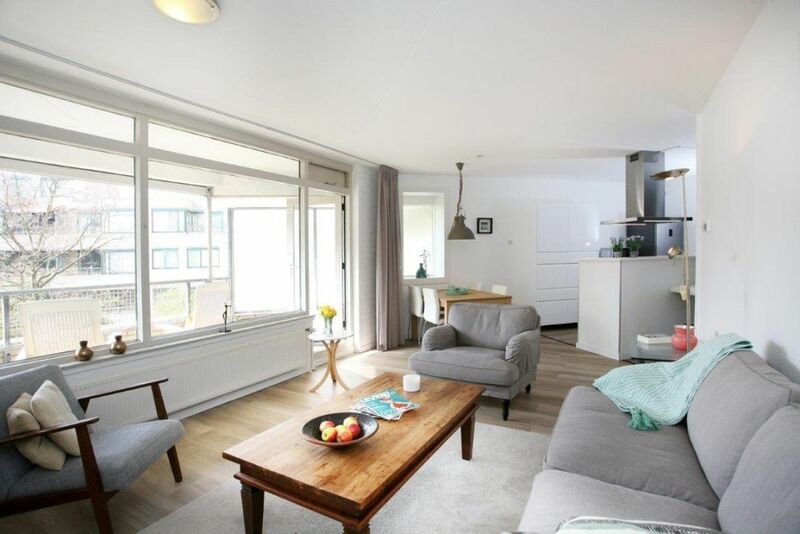 Tastefully furnished 2 bedroom apartment (90m2) including indoor parking and storage located in the popular Archipel area. The cosy shopping street "Bankastraat" is just a few steps away. Good public transport connections (tram 1 and 9) to the central station, city center and the beach.10 minutes walking to the Denneweg/Frederikstraat. Nearby companies like Shell, Eurojust, NATO, ICC, Europol. Lay out: central building entrance, lift to 2nd floor, entrance apartment, large built-in storage, very bright living room with new flooring and access to a sunny terrace with a beautiful view over the communal garden, new well equipped open kitchen, master bedroom, 2nd good sized bedroom with double bed, bathroom with shower, toilet and washstand, private parking place and storage included. Zoek je een geschikte school in de buurt van de Burgemeester Patijnlaan in Den Haag?